I have been very quiet lately, busy doing some planning, I will let you know. 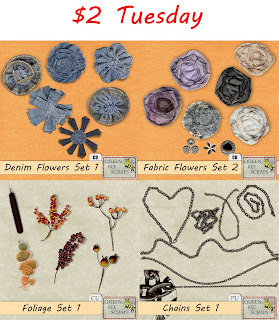 Also today is $2 Tuesday at GDS. 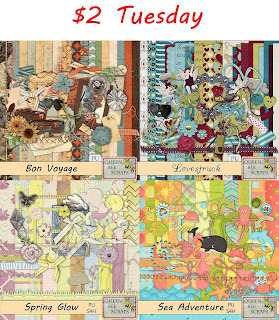 Here is some of Queen Bee Scraps products that you will find in the $2 Tuesday bin today.